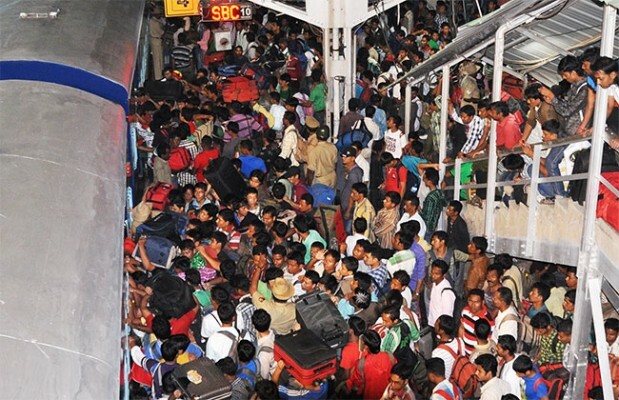 The mass exodus of thousands of north-eastern people from various parts of India, coming on the heels of Assam riots and consequent displacement of hundreds of thousands of families, is a huge blot on the country. This was the message taken by Art of Livingteachers Sanjay Babu, Neelam Kochchar, Deepa Dave and their team of volunteers to the thousands of panic- stricken North Eastern people at Bangalore Raliway station ready to leave in the next train to the North East. The Art of Living teachers reached out to thousands of fearful north eastern workers and students of Bangalore and persuaded them to stay back instead of fleeing. 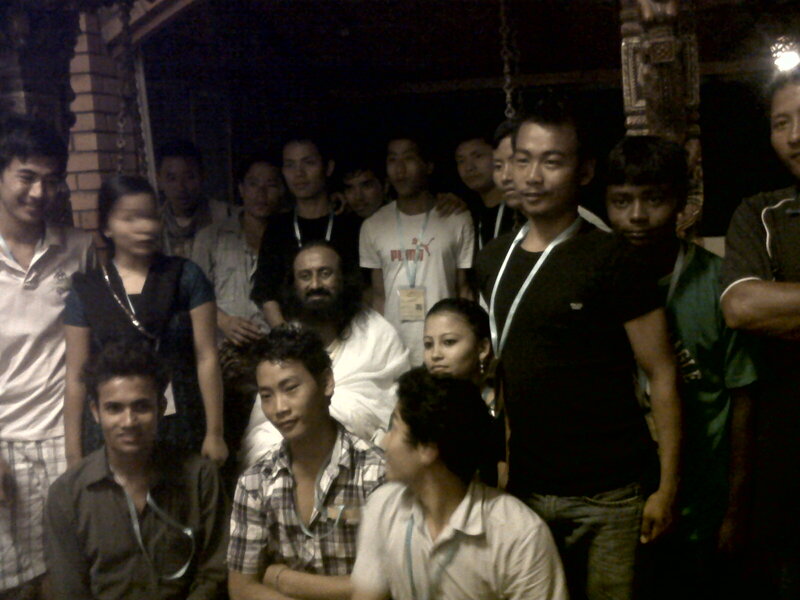 Those who were fearful of going back to their residences in Bangalore were offered a home in the Art of Living Ashram. Around 200 north eastern people are now safely living in the Ashram premises till they feel safe to go back to their homes. In fact, thanks to the feeling of security given to them by Gurudev, many of them are already feeling confident of returning to their jobs in Bangalore. Many thanks to Sri Sri for providing not only shelter but also love, care n hope. May this Eid bring peace, love and unity in its true essence. Wow! Amazing to see how Gurudev cares for all and is always ready with a helping hand. Hats off to the teachers and volunteers who did this!! Thank you Anonymous. Changes done. The work done by The art of Living is always commendable. Gurudev, the true Inspiration behind all this is the real hero whom our society and politicians should follow. Let us all join hands and work with the art of living to make this planet a better place to live. Only AOL Team can do this. Great work by aol team,guruji is an inspiration to all of us. Sri Sri is a great hope for this nation and the world. He not only inspires through His wisdom, but leads by example in being the first to stretch his hand out to those in need. Hats off to Sanjay Babu and the team of Art of Living teachers who were at the Railway Station from dawn to dusk attending to the fears and insecurities of north eastern people. Sri Sri is a great hope for this nation and the world; AOL ashram is as safe as a baby in its mothers lap. 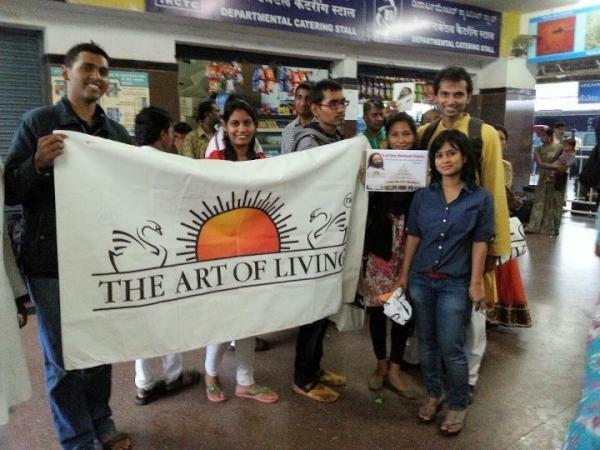 Fantastic effort by Art of living fondation for humanatarian cause!